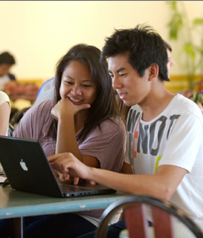 SDSU Career Services empowers students and alumni to build bridges to their future careers. Learn and enhance the skills you need to succeed in college, the workplace — and beyond. Self-awareness, making appropriate decisions, and learning job search skills are all components of Career Development. Understand and manage the impact of family, cultural, economic, influences on your personal and career development? 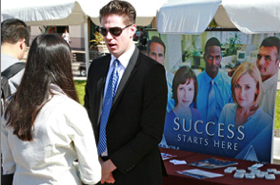 SDSU Career Services is a department of the Division of Student Affairs. Career Services is the first stop for most students looking for part-time jobs, for-credit internships, service learning and volunteer opportunities. Career Services also works with Academic Advising to support students in choosing a major. During the 2011-2012 academic year, Career Services hosted 8 career fairs and saw a 10 percent increase in on-campus interviews for the year. Currently, over 21,000 students and just over 11,000 employers are active on Aztec Career Connection. Career Services partners with many of the over 45 majors that offer for-credit internships. The Division of Student Affairs fosters a campus culture that encourages each student to articulate his or her own goals for success. Read more about how Student Affairs furthers students’ career and personal development. Students who work 10-15 hours a week (but no more), achieve higher grade point averages than students who don’t work (source).